Principal Hagseth reported Staff Appreciation Week was great! Thank you! She is doing a BBQ for the staff and needs help manning the Barbecues from 10:40-1:00m or so. She will need manpower and barbecues on May 21. On May 22nd, the Fuel Up to Play 60 assembly is taking place. Anthony Newman will be coming to talk to the kids and Mrs. Hagseth would like the kids to where their Marathon shirts or athletic type shirts to the assembly. She will also have extra chairs set up for parents that want to attend. The Jog-A-Thon will happen on May 24th and she will camp in the school and serve a treat if we reach our goal. The fourth grade will have their Oregon Trail Day on May 31st. Staffing next year will most likely be One All-Day Kindergarten, One AM Kindergarten, two PM Kindergarten, Three 3rd grades, Three 4th grades, and Three 5th grades. The 5th grade classrooms will be moving from the portables into the building next year. Music will be a half time position, Technology and Library will be classified positions. Due to budget constraints next year she will be holding a Green Century Electronic Recycle event to raise funds for next year at Oak Hills. She prefers this to asking for donations due to the Oak Hills community already being so generous. Parents asked about the possibility of late start on Wednesdays next year. Mrs. Hagseth replied that it is a possibility for Professional development and that if there are any questions regarding it to ask her. Sandy Gingell also said that further information can be found in the School Board minutes on the district website. It will be voted upon at the next board meeting. Lorraine Carver reported that Troop 726 raised $700 for Oak Hills to be used for play equipment for the school and Field Day. They did this with a Cake Bake event. Sandy Gingell presented for Will Gingell a master list to Cyndie Pelto for committee chairs to verify checks have been allocated to the correct budget line. The Tax Return information for 2011 will be given to the accountant on May 15. Budget can be found on PTO website. Jason T. really wants to utilize the website and get the email system started. Cheryl asked Jason to speak at the Back To School Night. He would also like to create a sponsor page for those that donate to Oak Hills events. Friday Flyers can be found on the website now, as well. Our new page gets about 150 hits a day! There is a group of parents working to organize this program for next year as Lynn Asbury is stepping down. Hillary Barrett noted that she has heard they are looking into 100 mile – ultra marathon shirts for the handful of students who ran over 100 miles this year. There will be a TAG workshop the first week after school ends. The ESY will be taking place at oak hills in the upper grades sections. If you see many buses, that is why. Cyndie Pelto reported that she had received a handful of sheets from each class today. It was a great reminder to many to keep fundraising. Ms. Cynthia sent the Google Doc sign up link by email and is also on the PTO website and facebook. a Please Sign Up! There will be plenty of prizes, and the kids will all get an otter pop. Hillary Barrett reported that 146 bikes participated in the Bike-to School event. We need to figure out where to place them and permanently spike them into the ground. Debbie Chinn reported that there will be a morning child care option on Wednesdays next year for parents that need it for the late arrival option mentioned earlier. She will also be having the fire department come to explain fire, tornado, and disaster safety in the next couple of weeks. Field Day is June 12. Look for volunteer sheets in backpacks in the coming week or so. Kindergarten-2nd will need 3 per class from 8:00-10:30 and 3-5th will need 4 per class from 11:30-2:00 pm. The ALL school picnic will take place from 10:45-11:15 am. There is also need for volunteers for set-up and clean-up. If there are weather issues it will take place in the gym/cafeteria. 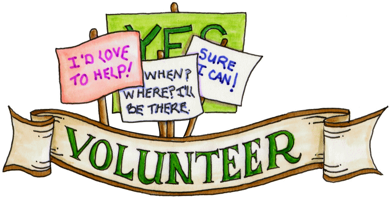 We are in need of a Co-President to work with Jennifer Yamashiro, a Co-Treasurer to work with Will Gingell, and a Volunteer coordinator to take over for Kathy Moshinsky for next year. IF you are interested please contact Jennifer. Tomorrow is at Rock Creek Corner from 10:30 am-10pm. Mention Oak Hills when ordering and we receive 50%. Please support your school and this awesome locally owned business!